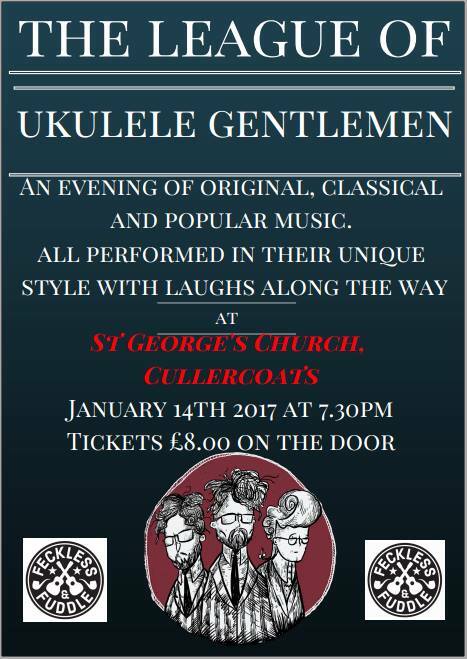 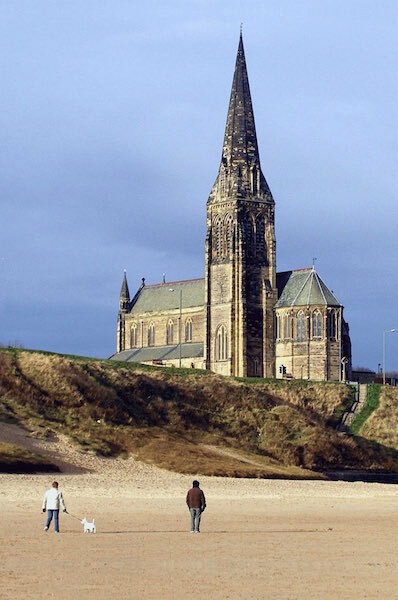 The League of Ukulele Gentlemen invade Cullercoats! 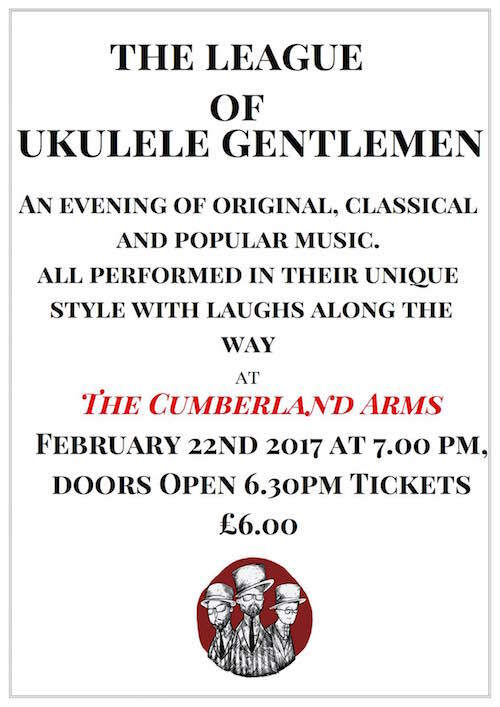 You usually have to travel to Cumbria to see these guys – or even further afield when they are on tour with such twinkling stars of the ukulele firmament as Mike Hind, Dead Man’s Uke and Zoë Bestel – so this is a rare treat! 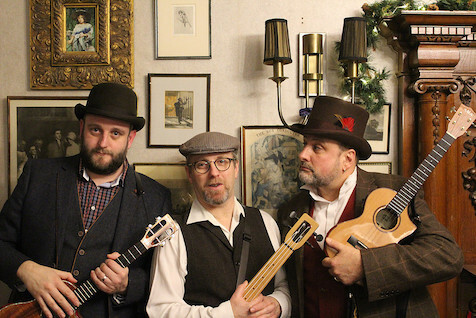 If you have come across “Feckless and Fuddle” before (aka Andy Webster and Matt Warnes) then you will have a fair idea of what to expect – lots of fun, laughs and superb ukulele playing!